Buying coins is an investment. Certain coins are precious items destined to become more valuable over time. So, if you choose well, your coin stands a considerable chance of rising in value over the years and is highly likely to end up being worth far more than you paid for it. When you buy a coin you are purchasing something that is not only valuable but also a fantastic addition to your home, often commemorating an important part of history. It is wise to note that the value of a coin is not just tied to the precious metal that it is comprised of, such as a gold or silver. Instead, coin value is commonly based on its scarcity; determined by its demand vs it’s availability. Therefore, it typically stands that the longer you hold onto a coin, the more valuable it will become, as usually, the numbers in circulation will inevitably drop over time. It is crucial that you always consider your budget. We understand that sometimes the buyer needs to keep it affordable. However, if possible, always buy the best grades to meet your budget. The best type of coins to buy. If you are buying coins for investment purposes, we recommend you focus on the rarer, key-date coins or the lower mintage figure issues. It helps to stop and think about what makes each particular coin special. Over the past decade, we have witnessed many Proof sets achieve incredible growth, both the old and contemporary issues. These sets can be an excellent addition to your portfolio, especially if they have been struck for a significant historical event, such as a Coronation ceremony, or a poignant anniversary. Lower-grade or more common coins are an excellent option for collectors. Such coins can offer a real piece of history at a substantially lower price than some of the rarer coins. However, some of these coins and sets tend not to appreciate as much in value as higher grades or key-date coins and therefore, in our opinion, are not usually the best choice as an investment. 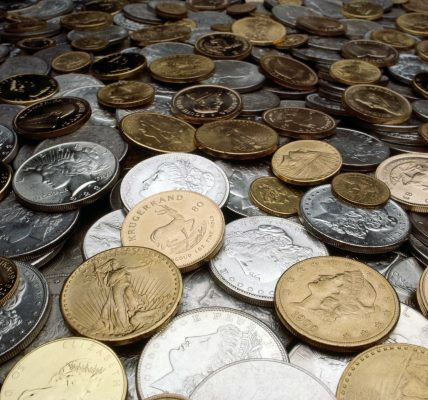 Many collectors are shocked to learn that some coins they have held for many years tend to fall into the bullion category, so you would be selling according to the latest gold or silver value, which may have dropped since your initial purchase. Previous PostHow much is your 1 pound worth?